This invitation is called An Elegant Beginning for a reason. 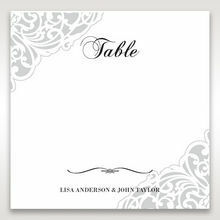 The beginning of your marriage is well represented by this trifold, laser cut card. 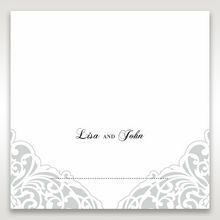 This card is the perfect blend of elegance and lace. 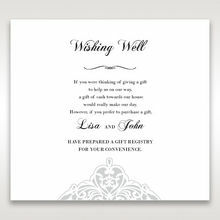 When your guest lifts the front of the card and folds the lower part down, he or she will see the wedding details in classic raised ink. The text and layout are fully customisable, as is the font. The cover is a heavy weight matte white cardstock. 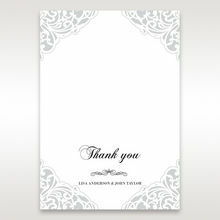 The insert is textured white paper with the raised ink printing. 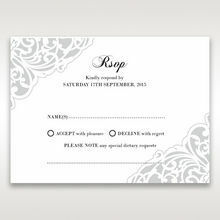 You can order RSVP cards, Reception Cards, and more that are printed with the same lacy pattern found on the laser cut. Exceptional quality paper and printing. Exactly as pictured in the images, was impressed the inside of the envelope was a pearl finish also. The raised printing is very elegant and professional. The size and intricacy of the laser cut out was perfect and the insert cards for wishing well etc matched nicely. I received my sample wishing about one week which was very helpful. Over all I am Very impressed. Giant Invitations is a very professional and reliable service provider. There are so many nice options and I really had trouble deciding but the assistance in answering the questions I had and responding to requests with quick turnaround times made the whole process streamlined and easy to track.This invitation speaks for itself - it is elegant and indeed classic and classy! 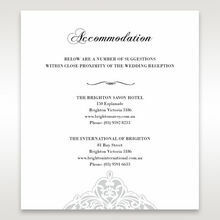 I had no trouble customising the text to include more detail and the invitation turned out perfect with the designer's expertise in accommodating this. I particularly love the wedding date being printed on this invitation with the option for a quote directly underneath. It adds a special touch. I received the samples extremely quickly and they look great. Getting samples definitely helped in making a decision. 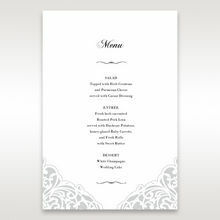 There is such a great variety to chose from however I have chosen this design as it is simple and elegant and the most cost effective for me. I am glad I read about the ink not being raised when you print the guests name as I really like this feature. I will now process my order and can't wait to receive them. 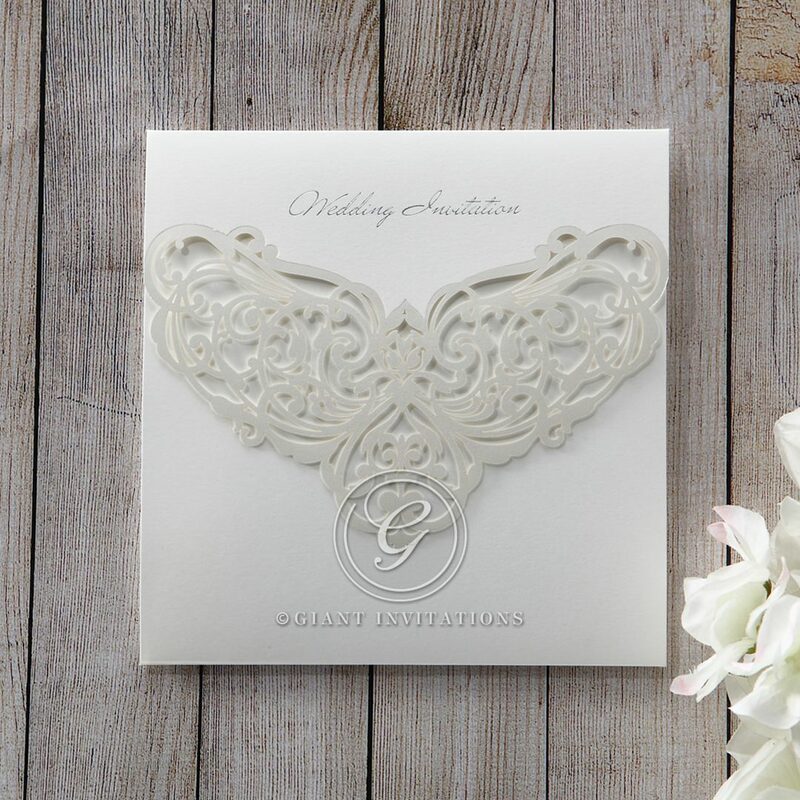 These invitations are just gorgeous in person and look just as pictured. 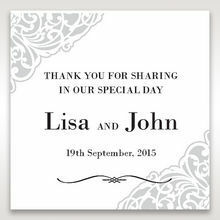 I would recommend opting for not having guests names printed so that you can keep the raised ink as this gives it a sophisticated touch. So many of our guests commented on how beautiful the invitations looked. I was a bit unsure about the thickness of the paper however the inner insert thickens the invitation up and it does not look flimsy at all. Thank you Giant for our invites! We chose these invitations for our wedding and we really love them. We have had lots of complements on how elegant and classy they are. 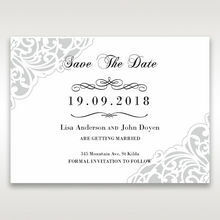 It is also a really nice idea of being able to put a quote on the invitation - you don't see that very often and its an additional touch to really personalise the invite. Very good quality, excellent service and everything arrived in perfect condition. Great work! The laser cut design was beautifully elegant and had a lovely sheen finish . 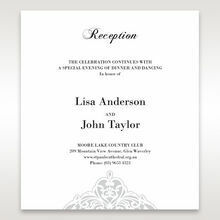 Quality of the inside paper was great and the thermography gave the invite a professional and classy finish. Writing was bold, raised and glossy. We are very impressed!!! Am definitely considering this to be our invitation for our wedding!!! We ordered a series of 5 different invites as samples and all are great quality. Beautiful invitation, as pictured. Love the raised (thermo) ink! The samples I ordered very very good quality. I am glad I ordered my invitations from here. We all loved them! You did a fantastic job and were amazingly fast. Thank you so much for sending them all in perfect condition. :)I shared the post to my Facebook page. So hopefully some of my soon-to-be married friends have a look! Great quality and arrived so quickly but unfortunately the default font has changed from the image. Excellent Quality. My samples arrived so quickly. Giant Invitations are amazing quality and are shipped to you in a very short period of time. They are fantastic!